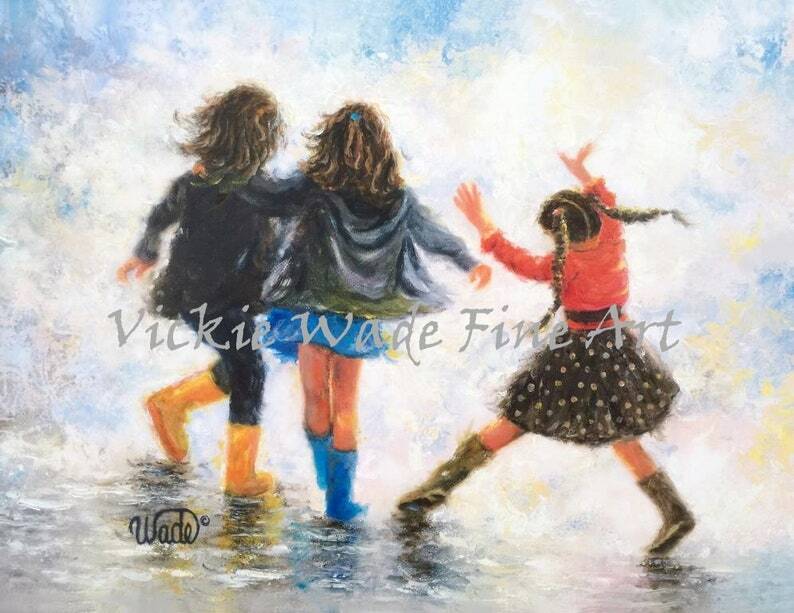 "Happy Feet"~~brunettes is a large fine art print of an original oil painting of mine. The original has been sold. * This print fits nicely in a ready-made 16" X 20" mat/glass/frame combo found at stores like Michael's Craft stores.